A store didn’t just close. Somebody killed excellence. When they lock the doors of a place you go into almost daily, you ask, “Hey, what’s up?” The response I got was, “They didn’t pay their lease for months and the place was shut down”…??? You don’t shut down the Taj Mahal of delis. 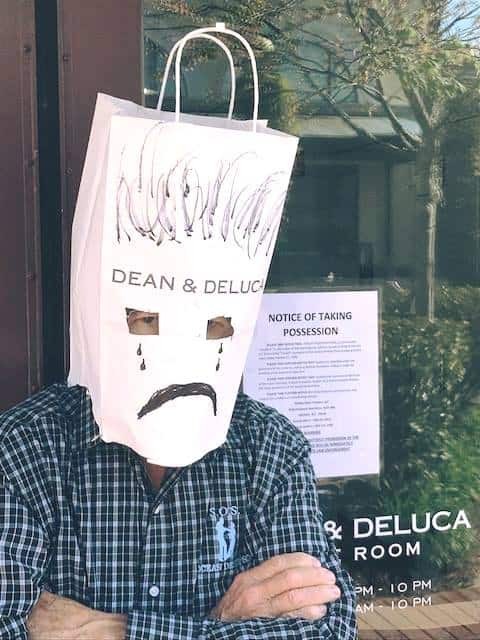 DEAN & DELUCA IS OUT OF BUSINESS?? 3 Charlotte stores. How? Why? What happened? Everybody is saying the same thing — “I just loved that place!” Seriously, if Dean & DeLuca died, I want a funeral. This place needs a eulogy. Do you know how many business deals were transacted over coffee on D&D tables? It was a friend connect center, too. Retired men met every Saturday morning to tell jokes, talk sports, and lie about politics. Women brought their babies in for a lunch break. Maybe Starbucks had better coffee, but they didn’t have D&D’s iced tea or delicious pastries, lunches, salads, soups…anything you could put in your mouth. The quality was tops. Sometimes, I would come home late from work and buy a piece of Chilean sea bass cooked & seasoned to perfection, maybe a 5-to-6 ounce piece. The price of that fish? $41 a pound and that’s not a typo. Few people cared what the price was if the quality was the best. Their hummus recipe was out of this world. Oh, I’m sad. Cheeses, candy, wine, the sandwiches made to order. I have a few shopping bags from D&D in my pantry. I thought this was the best way to use of one of them.